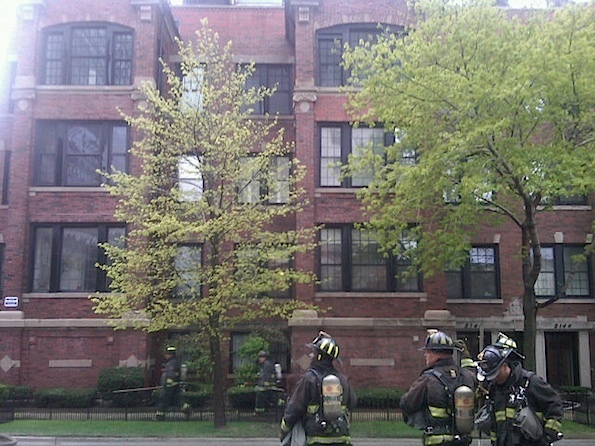 Apartment fire on the roof at 400 West Briar Place in Chicago (Photo courtesy of Chicago Fire Department). Chicago firefighters responded about 6:00 p.m. Sunday to a report of smoke and flames from the roof of an apartment building at 400 West Briar Place (The four-story apartment building is also known by the address of 3140-44 North Sheridan). Smoke and flames were visible from the roof of the Lakeview East apartment building about 100 feet by 100 feet. Fire command called a 2-11 alarm and an EMS Plan 1, which is standard operating procedure for residential apartment building at the size of the fire building. The fire was reported to be in a ‘utility doghouse’ on the roof of the building. The fire did not extend into the interior of the building and firefighters were able to quickly knock the fire. 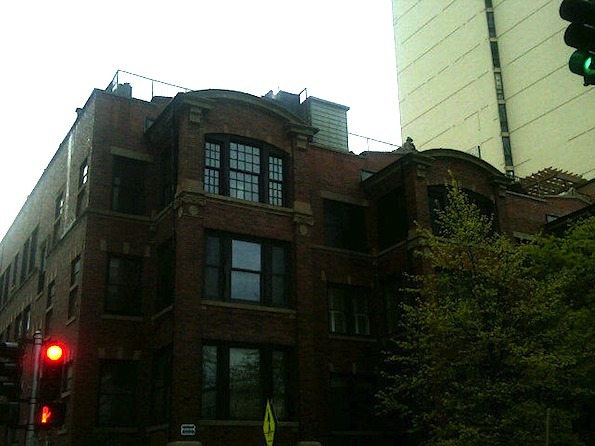 View of roof near utility doghouse fire at 400 West Briar Place in Chicago (Photo courtesy of Chicago Fire Department).